Salvation is a free gift. You can take it or leave it. If you don’t want to obey God, He will not force you to. All the same, He has made it known to us where our choices will lead us. If we choose to obey Him and live a righteous life, our destination will be heaven (eternal life). On the other hand, if we choose to live a sinful life, our destination will be hell (eternal suffering). He has done His part to make the first choice possible (click here to see how), but has also left room for those who prefer the second option. After all, the choice is ours, and we have the liberty to make it. Even Jesus Christ made it clear how much of a choice salvation is when He said, “Whoever believes and is baptized will be saved, but whoever does not believe will be condemned.” (Mark 16:16) . 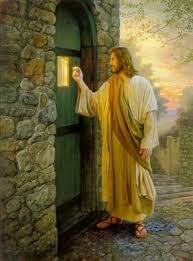 And, “Behold, I stand at the door and knock. If anyone hears my voice and opens the door, I will come in to him and eat with him, and he with me.” (Revelation 3:20). Of course, many people choose to push away this gift in preference of an unsaved life of carnal and corrupt indulgences. After all, it is a gift. You can choose whether or not to take it. iii. whether we have other ‘gods’ that we have placed above Him. “What good is it, my brothers and sisters, if someone claims to have faith but has no deeds? Can such faith save them?” – James 2:14. “As the body without the spirit is dead, so faith without deeds is dead.” – James 2:26. “You believe that there is one God. Good! Even the demons believe that--and shudder.” – James 2:19. “In the past God overlooked such ignorance, but now he commands all people everywhere to repent.” – Acts 17:30. Jesus replied, “Very truly I tell you, no one can see the kingdom of God unless they are born again.” – John 3:3. At the same time, the Bible warns us that our good deeds alone will not save us. “For it is by grace you have been saved, through faith--and this not from yourselves, it is the gift of God-- not by works, so that no one can boast.” – Ephesians 2:8-9. Now that you have read this, you can make what is popularly known as ‘an informed choice’. You can choose to brush salvation aside for now and wait – for who knows what (as we saw earlier), or you can choose to place the security of your soul above the many other things that demand attention, and say “Yes, Lord.” The choice, as we have ultimately seen, is yours. 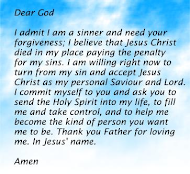 If you would like to say the salvation prayer and turn your life over to God, click here. “For he says, "In the time of my favor I heard you, and in the day of salvation I helped you." I tell you, now is the time of God's favor, now is the day of salvation.” – 2 Corinthians 6:2. Thanks for visiting the blog. Hope the message was also a blessing to you. 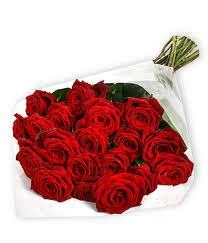 The roses are meant to symbolize a gift, that of salvation, which God lovingly offered us through His Son. Be blessed. While it may be true that man has "free will," none of us would ever use it to turn away from sin (Repent) and trust in Jesus. If the choice is left to human nature, we will always choose evil. Salvation comes from God and God alone. Repentance will not save you, praying the sinner's prayer will not save you, believing will not save you (see Acts 8:9-25). God must save you. Repentance and Faith are gifts from God. There is nothing that you can do. Hi Scott. Thank you for your contribution. As Christians, our role is simply to tell others the good news about salvation and leave the decision-making part to them. Jesus said: "Go into all the world and preach the good news to ALL creation. WHOEVER BELIEVES and is baptized will be saved, but WHOEVER DOES NOT BELIEVE will be condemned." (Mark 16:15-16). Once someone has heard the gospel, the ball is in their court. You as a Christian have done your part. If they reject it and die in their sins, they will have only themselves to blame. They will have loved other things more than their own soul. If they repent and are saved, good for them. Heaven also rejoices (Luke 15:10). They will have loved their own soul more than those other things. "When I say to a wicked man, ‘You will surely die,’ and you do not warn him or speak out to dissuade him from his evil ways in order to save his life, that wicked man will die for his sin, and I will hold you accountable for his blood. But if you do warn the wicked man and he does not turn from his wickedness or from his evil ways, he will die for his sin; but you will have saved yourself. " Therefore, let us do our part to spread the Good News, just the same way other people spread it to us and we got saved. By the way, I visited your blog and it has great messages. Yes, a choice we have to make each day! Great post. Though not everybody acknowledges it, the most important decision that we all must make is where we will spend eternity. God and His Son have provided the means for eternal salvation, and it is God's desire that no one perish but that all should come to repentance (2 Peter 3:9). The sad commentary is that most people will die without having accepted the Lord's salvation. Very true. Jesus said, "For what shall it profit a man, if he shall gain the whole world, and lose his own soul?" (Mark 8:36). Spreading the world is the main responsibility of any enlightened christian. I hope most of our brothers & Sisters will get this right. An evangelical Christian recently said to me, "When a sinner turns from sin to the Savior...A transaction is made and a soul is saved." This statement is the crux of the problem with Baptist/evangelical theology: God DOES NOT conduct transactions with sinners! God saves sinners, and he does so WITHOUT their assistance or even their cooperation. Salvation is not a transaction...it is a FREE gift. Gifts do not involve "transactions". It is interesting to note this point: In Baptist and evangelical theology the sinner has a free will BEFORE he is saved, but loses his free will, the ability to choose or to reject God, after the "transaction" of salvation with God has been completed. In Lutheran theology, the sinner lacks ANY free will in spiritual matters prior to salvation. The reason that the sinner lacks a free will to make spiritual decisions (such as "accepting Jesus into his heart") is because the sinner is spiritually dead. However, once God saves him, quickens (makes alive) his spiritually dead soul, he then has the ability to make spiritual free-will decisions: to follow Christ, or to turn back to his former life of sin and darkness. Which theology is most consistent with Scripture and the historic teachings of the Christian Church?